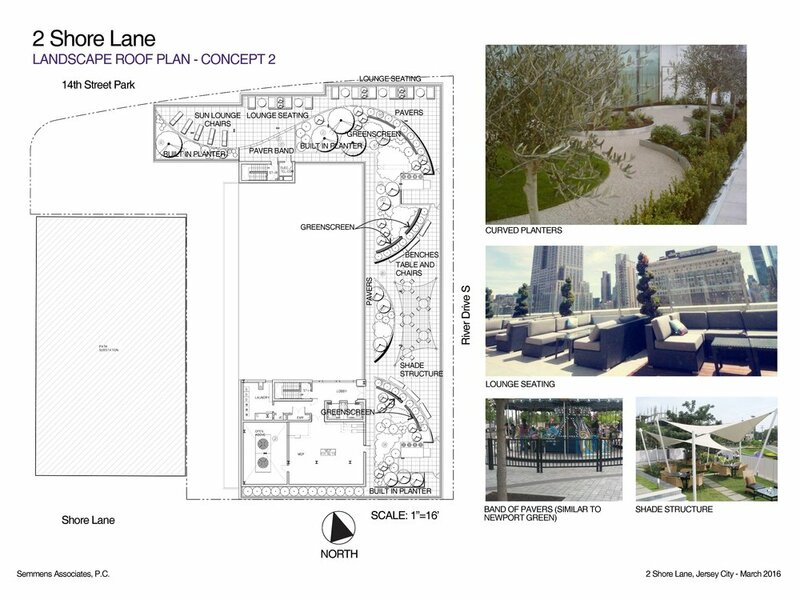 The roof terrace for 2 Shore was developed from three (3) original design scenarios which explored different approaches to the 6,000sf space. The design approaches focused on: rectilinear banding within a geometric pattern related to the building, curvilinear design which disrupted the rigid geometry of the pavers and space, and a more subtle approach of curvilinear shapes within the geometric patterns. The project is currently in design.